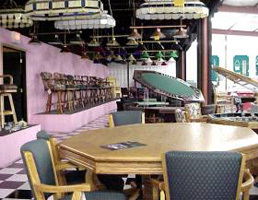 Bullseye's retail showroom is southern Wisconsin's largest retailer of everything fun for your home rec room. 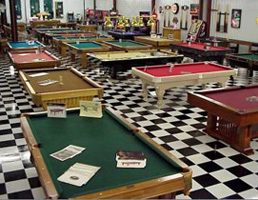 Bullseye's league department runs pool, dart & foosball leagues in taverns throughout Madison, Janesville & Beaver Dam. 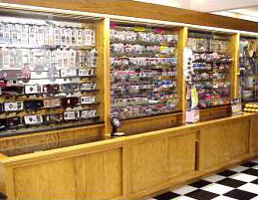 Bullseye specializes in the sale of new Brunswick pool tables and all billiard related accessories. 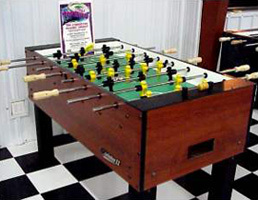 Bullseye also carries Tornado foosball tables, Brunswick Air Hockey, Champion shuffleboards, dart boards, poker tables, ping pong, new & used video games & pinball games along with all the accessories needed to play any game. Give us a call or stop by to find out how we can help you with all your rec room needs. We sell fun! !